Crunches, or sit-ups, are one of the most common exercises out there. Everyone knows how to do a basic sit-up. In fact, they’re far more likely to know how to do a sit up and to be able to do a sit-up then they are to be able to do a push-up, for example. A push-up being another extremely common exercise known to everyone, including people who don’t exercise. 14" x 11.8" x 2.8"
12.0" x 14.5" x 2.75"
The ab mat by itself is a great addition to your collection of training gear. There is endless benefit to just having this piece of equipment on it’s own. But SunniMix have gone one further an included two spiky gym balls that you can use as a foam roller to iron out any knots and tension you may have in your muscles. One big benefit of using ab mats is that they can allow those with pre-existing back pain or weakness to train their abs without having to suffer. These spiky gym balls are helpful because you can use them to work out the tension in your back and other problem areas and then be able to use the ab mat without further exacerbating your back issues. The symmetrical curvature of the mat curves perfectly to the shape of your back, allowing for back support at all time. This excellent ab trainer mat from WODFitters provides your back with the perfect range of motion so you can finally get every benefit from your crunches without going round in circles with no progress or results. It helps massively with crunches but it isn’t just for crunches, you can do a whole ton of exercises and workouts with this mat. If you’re stuck for ideas on what to do, WODFitters have helpfully included an eGuide for your to peruse which includes both individual exercise ideas and even full workouts so you’re ready to go straight away. The anti-bacterial PVC material of the mat makes it quick and easy to clean before and after use without compromising the exterior. This is a mat that you can use again and again for a long time without having to replace it. It’s not just the front of your abdominal muscles that can get a killer workout with this mat, you can work your entire core/midsection too. The increased range of motion means that exercises like oblique crunches (your ‘side abs’ that produce that coveted v-shape) and lower back raises can be performed more effectively. The capability for better lower back raises is great as it can help you strengthen your lower back to become more injury resistance. Lower back pain is one of the most common complaints of people from all walks of life/lifestyles. One major cause of lower back pain is having a weak lower back. 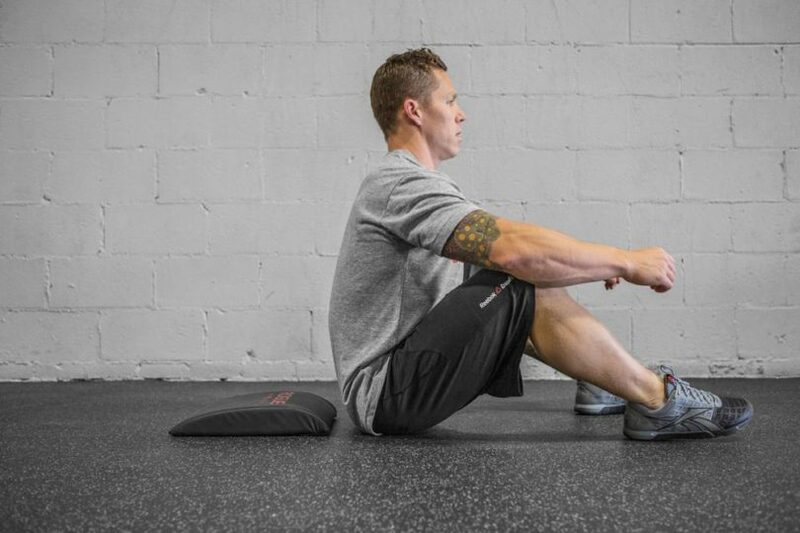 Get this mat and do those lower back raises and lower back pain and weakness will be a thing of the past for you. ProSource have crafted a mat that is both tough, firm and durable but yet still soft that it’s comfortable and pleasant to use regularly. It’s rare that a company are able to find that happy medium with so many shoddy mats on the market are either too firm and dense or so soft that they don’t give you the structural support that you wanted in the first place. ProSource have been able to find that happy medium with a mat that provides you with all the support you need whilst still keeping comfort as one of it’s core tenets. The mat is 15” by 12” which is the perfect size as it can easily cater to people of most body sizes and shapes. Epitomie Fitness have all bases covered here with their Power Core Ab Mat. The foam padding is strong, high density and able to withstand heavy use over a long period of time whilst still being comfortable and accessible enough for people to actually use. The exterior material is anti-microbial PVC leather. This leather prevents scratching and tearing and is just generally extremely durable. The bottom is lined with non-slip rubber so that the mat stays in place whilst in use; it only moves when you want it to, not mid-exercise like some bad mats do. Epitomie Fitness offer a wide variety of purchasing options including six different colour options and the choice of either a single mat or two mats. 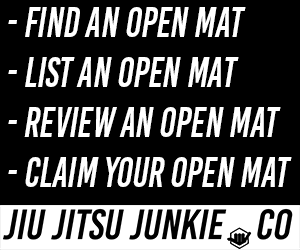 The two mat option is perfect if you like to work out with a training partner or if you’re purchasing said mats for your a gym/training centre. Many people plonk themselves down on the floor to do endless bouts of sit-ups in the hopes of losing belly fat, tone their abs and getting that elusive six pack. Of course, to anyone in the know, there’s plenty of things wrong with that previous sentence, including the dual myths of both spot-fat removal and toning (neither of which exist/are possible). But is the crunch even a worthwhile exercise? Many say no. Many people claim that it’s more effective to do big compound exercises such as deadlifts and squats to develop the entire core, and thus develop the coveted abs, without actually directly working the abdominal sheet of muscles. Some say that you should directly work the abs but by doing exercises like hanging leg raises, roman chairs, weight reverse cable crunches, etc. Now crunches do work. They can work very well. The problem with crunches is that anatomically, you don’t get the proper range of motion by doing crunches with a flat back against the flat. For crunches to work and actually be effective, you have to be able to arch your back further back, as if you were sinking backwards into the floor. Obviously, this is impossible, so the next best thing is to use an ab mat. These are like a cushion where your back can retreat further back, increasing the range of motion and allowing you to work your abs much better but without having to hang from a pull-up bar, without having to use a cable machine and other generally unnecessary methods. Don’t be one of those people that spend hours on the floor doing countless crunches and then never having anything to show for it. Get an ab mat and finally reap all rewards of your hard work.